Area:Land 26 km². Freshwater 0 km². Exclusive economic zone 900, 000 km². Terrain: Very low-lying and narrow coral atolls. Geography: One of the smallest and most remote countries on Earth. Five of the coral atolls enclose sizable lagoons, but the other four are just pinnacles. Economy: Important industries are fishing, tourism and copra. The latter is the main export commodity. A simple culture method for milkfish (Chanos chanos) was practised on the island of Vaitupu. Milkfish fry entered naturally during high tide into a pond, dug next to the lagoon, and were fed with grated coconut and crushed crabs. Small-scale pearl culture operations has had some success. Pearl shells were collected in Nukufetau and stocked in the lagoon for selling on the domestic market in Tuvalu and Ocean island. Tilapia (Oreochromis mossambicus) was introduced and later infested ponds and the lagoon. 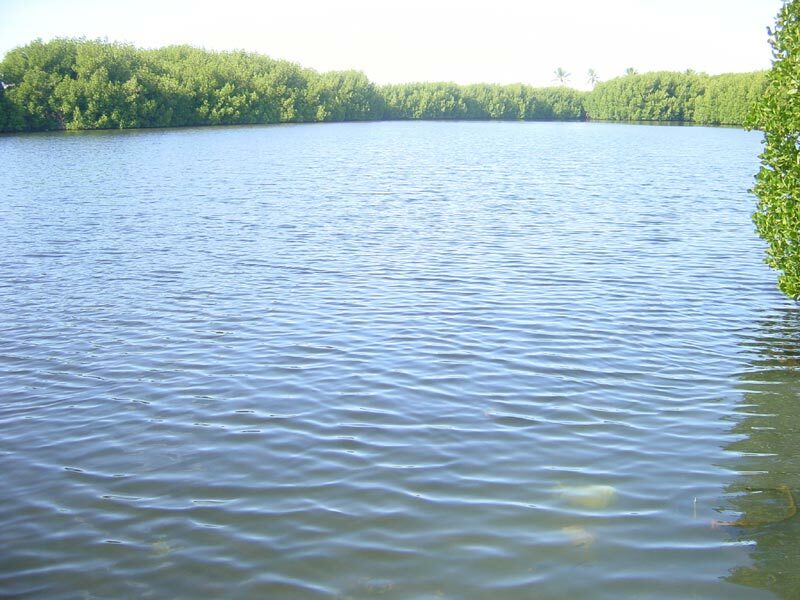 It was not accepted as a food fish and eradication from existing ponds was preferred. It was reportedly used for pig food. Giant clam (Tridacna derasa) and Trochus (Trochus niloticus) were imported from Palau and the Cook Islands respectively for restocking purpose. - Lack of financial capability to cater for items required at pond construction stage or hatchery running costs. 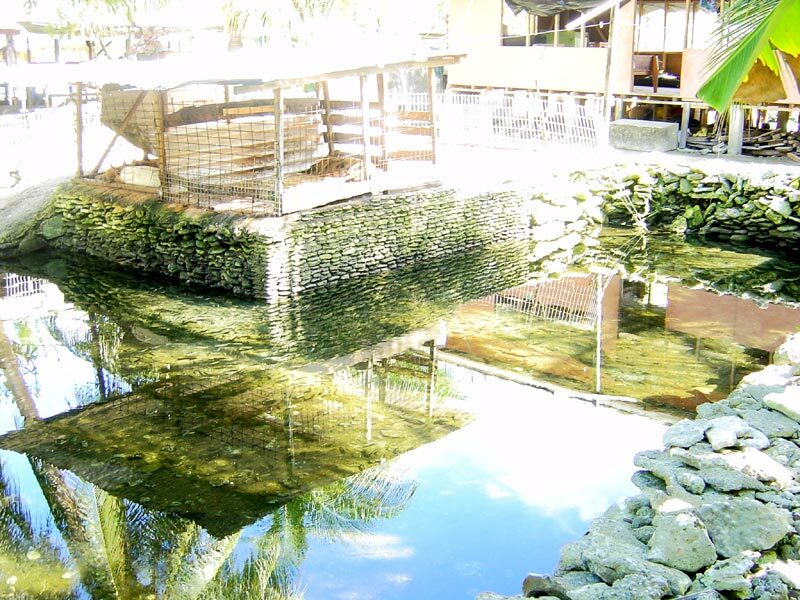 Mossambicus tilapia ponds are integrated with pig farming which is the main source of fertilization. The tilapia are harvested and fed back to the pigs as a source of protein. Milkfish farming on Vaitupu has had some success. Occassionaly the fishers will use holding pens in the lagoon to keep catches of fish or invertebrate alive or to grow-out valuable food types such as lobster.